James Cook was an 18th-century British explorer known for this three major world voyages. The third Pacific voyage, which began in 1776, took Cook and his crew around New Zealand and Hawaii. The events of this voyage became quite popular in the western world, much in part to the narrative that Cook himself wrote concerning the journey. 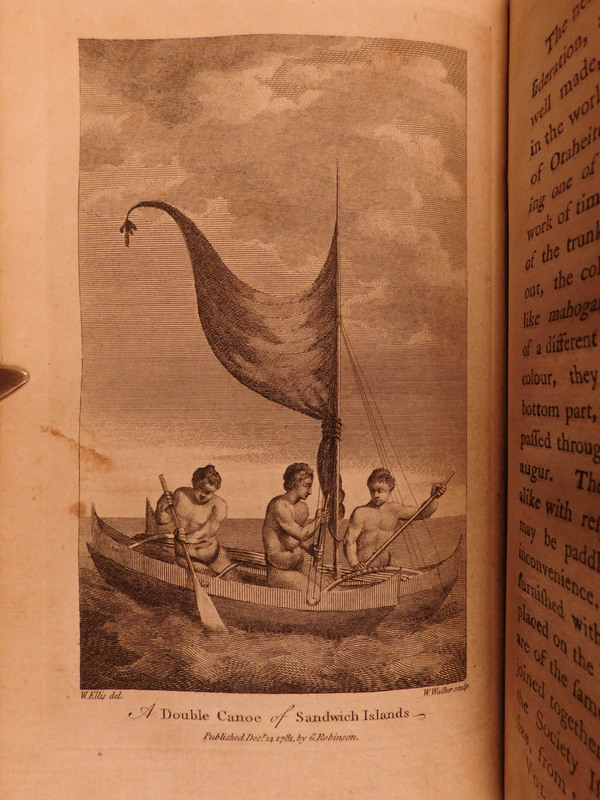 However, many supplemental works were also written such as Ellis’s ‘Authentic Narrative of a Voyage’. This work was written to enhance the official report, according to Forbes. It includes much information on Alaska, the North Pacific American coast, Hawaii, and the people groups that Captains Cook and Clerke encountered. London : Printed for G. Robinson … J. Sewell … and J. Debrett …, 1783.